The ROSE scheme and its scheme managers have been independently audited by the Ministry for the Environment (MFE) and it is now awaiting approval as an accredited waste minimisation scheme of product stewardship under the Waste Minimisation Act. The National R.O.S.E. 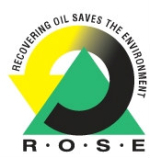 (Recovering Oil Saves the Environment) Used Oil Recovery Scheme operated and managed by Fulton Hogan, Petroleum Services and Salter Cartage has been awarded Product Stewardship Status for the next seven years by the Hon. Nick Smith.